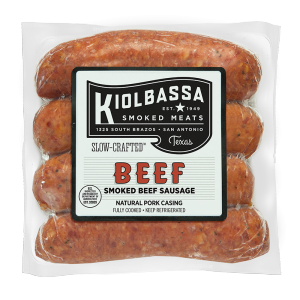 In Texas, we know a thing or two about Certified, USDA beef. 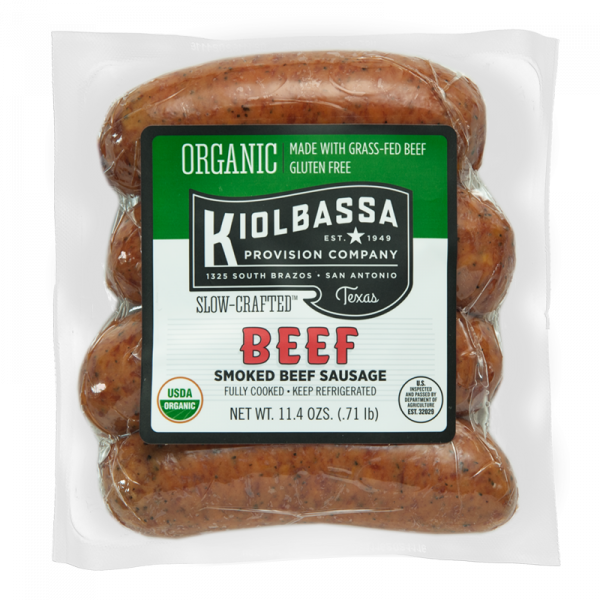 That’s why Kiolbassa Organic Smoked Beef Sausage uses only the finest, grass-fed beef to craft our premium organic, gluten-free recipe. 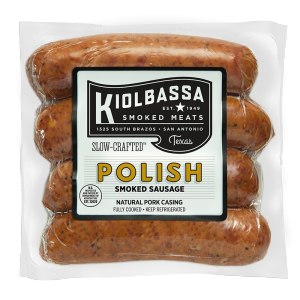 You’ll enjoy that bold, robust Kiolbassa flavor, further complemented by the finest premium spices and absolutely no cheap fillers. 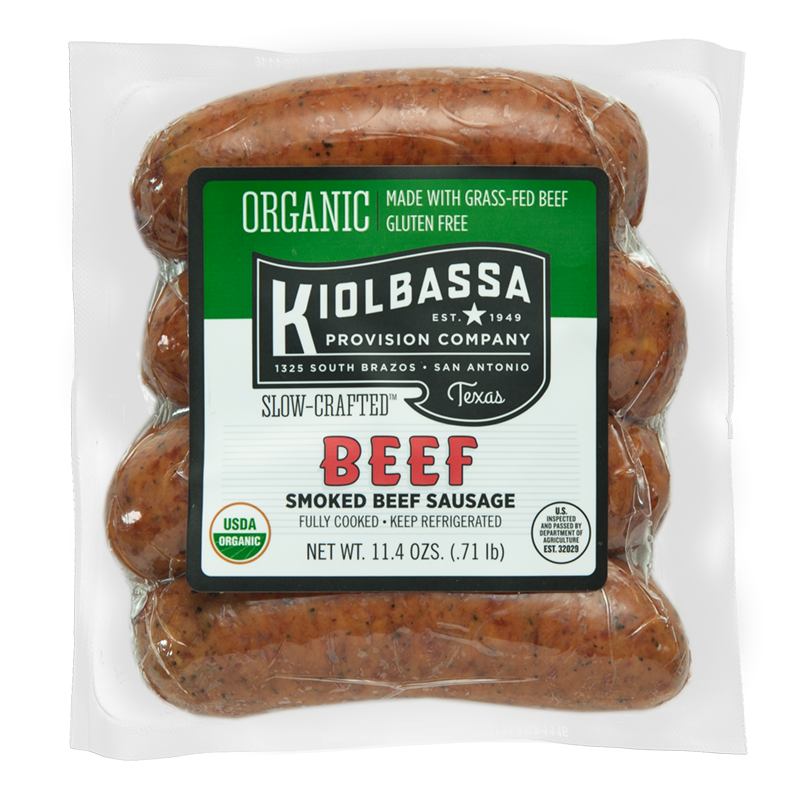 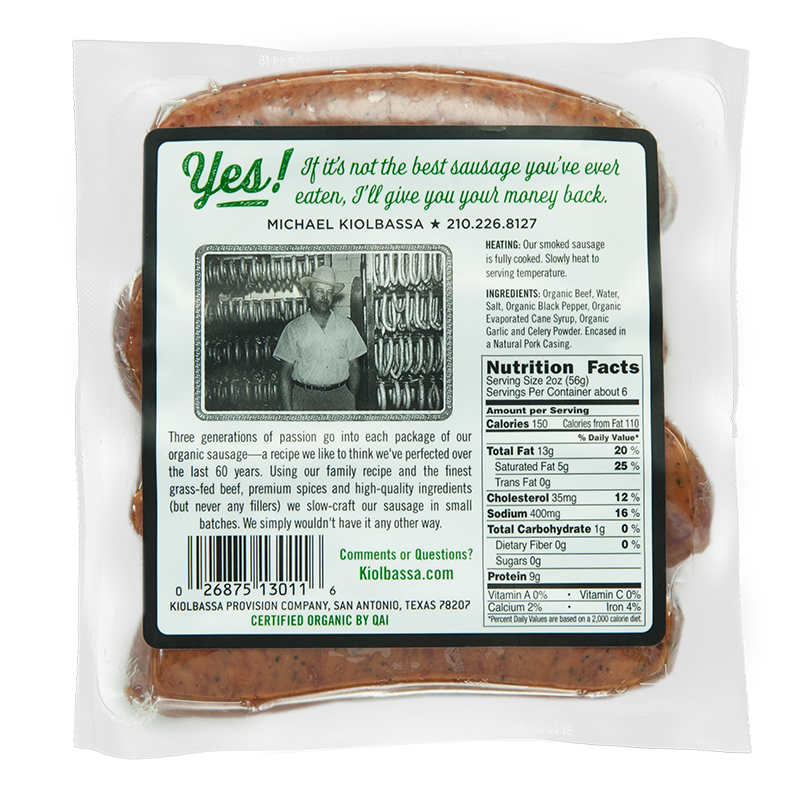 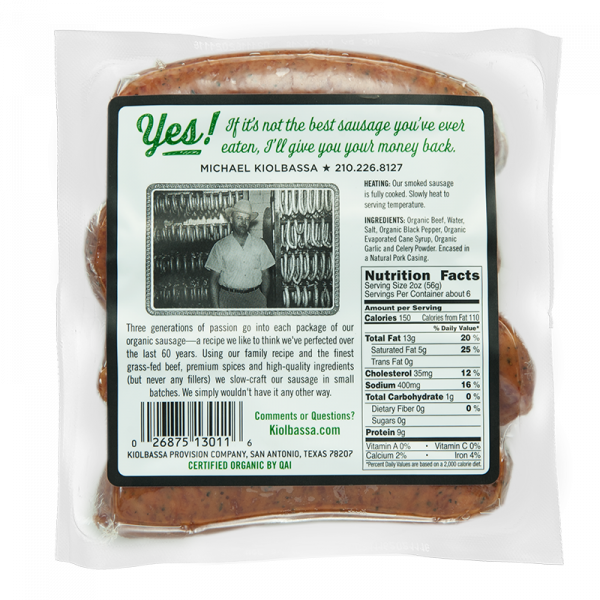 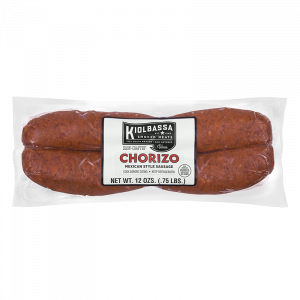 So if you’re ready to go organic with your smoked beef sausage, there’s only one way to go: Kiolbassa!